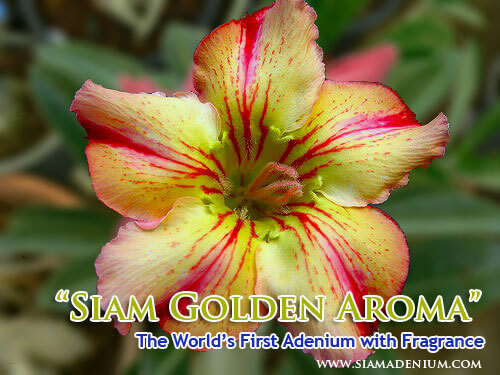 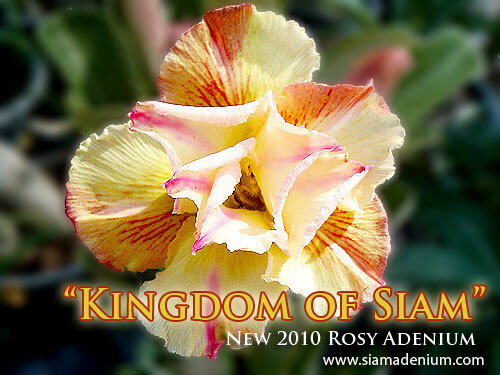 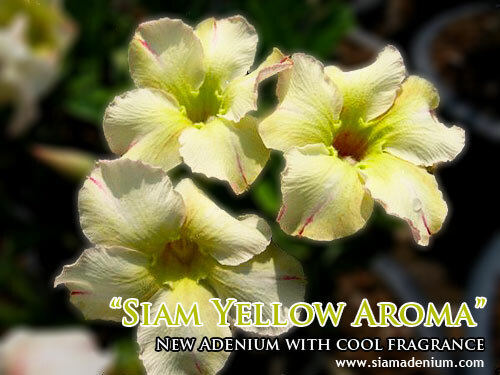 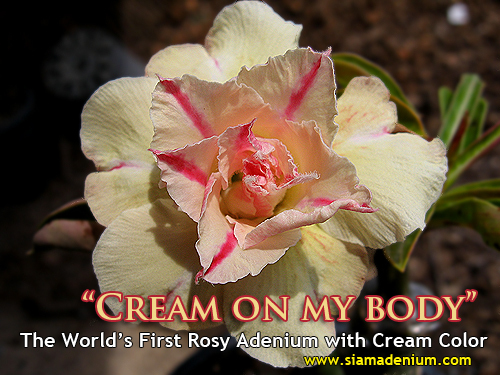 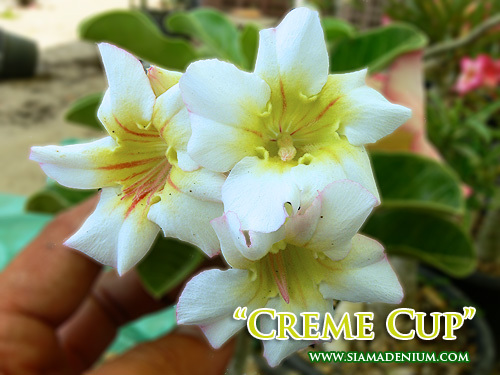 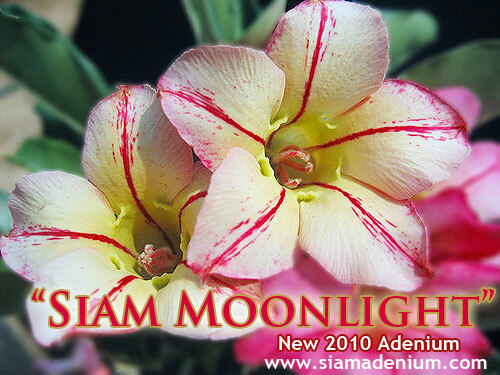 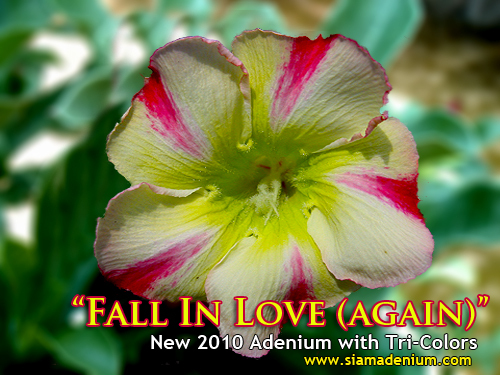 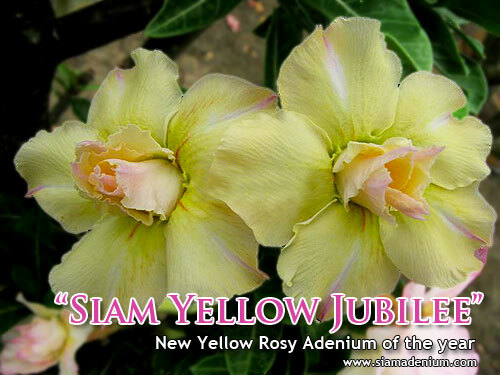 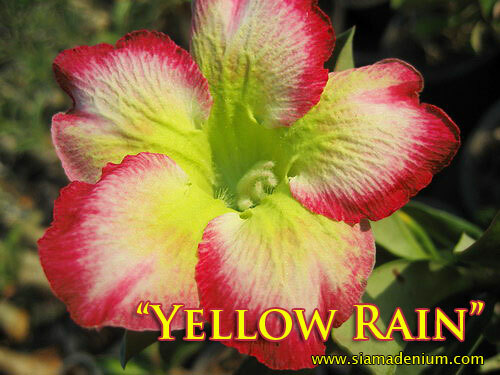 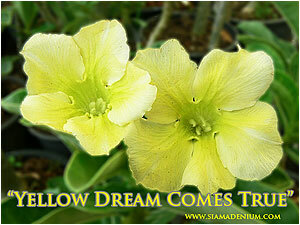 Adenium obesum, called chuan chom in Thai, has been grown in Thailand for decades, but the introduction of other adenium species into the country in recent years has resulted in intensive breeding and cross-breeding that produced hundreds of spectacular hybrids. 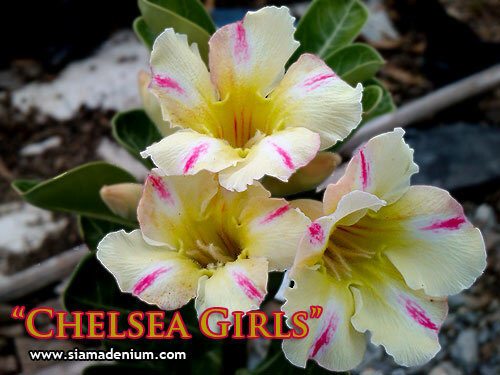 Although the flowers of Adenium obesum are beautiful in their own right pale pink with deep red petal margins and fading to near white towards the throat they now pale in comparison with the flowers of the new hybrids, which range in color from white, pink, red, magenta and purple to multi-color. 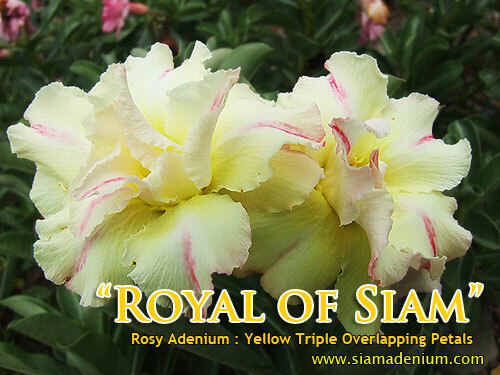 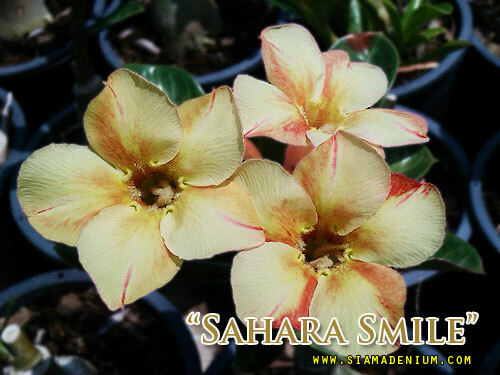 Several hybrids have almost white flowers when they first open, then gradually develop a pink to red flush. 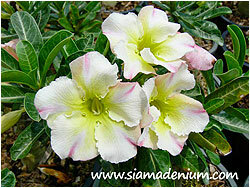 Some have flowers in pastel color with dark borders; others have a dark-colored flower with light borders. 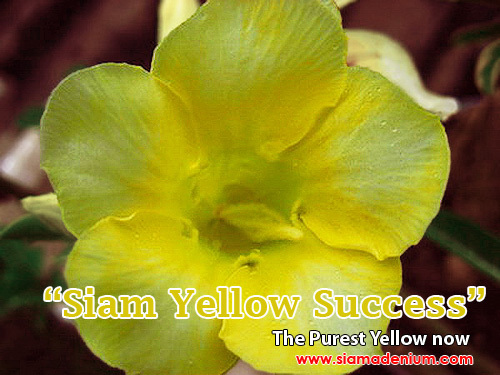 Some have throats that are dark colored, while others have throats that range from white or cream to yellow or pastel green. 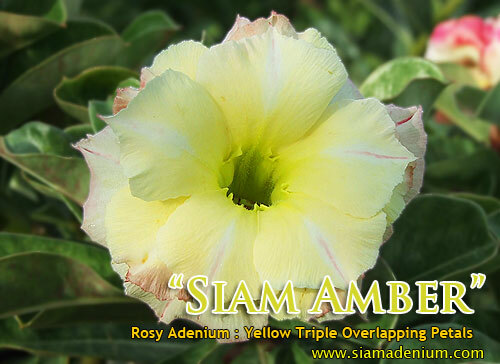 While most have single petals, there are now also doubles. 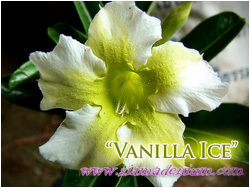 cross with “Vanilla Ice” as mother. 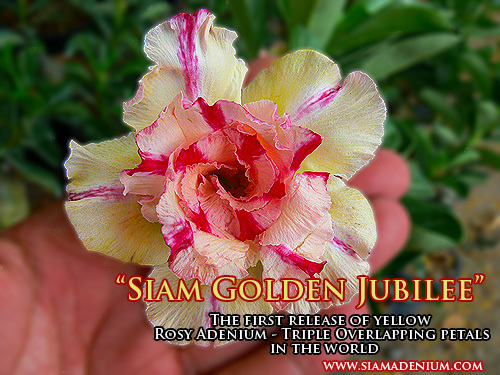 Now we have got pretty stable yellow petal. 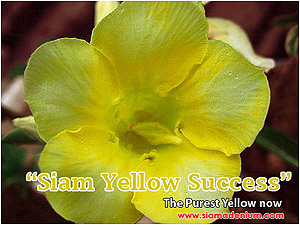 This means there is more solid yellow all petal spread around through the throat.